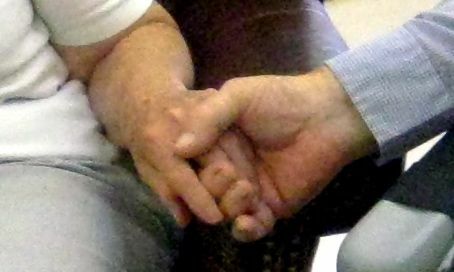 These are the hands that connect to the hearts of my wonderful Mom and Dad who raised me. Mom and Dad are so lucky to still be holding each other’s hands even this very day! The love they share grows even more every day at 94 and 96. Being with them is like watching two lovebirds. They give each other endearing looks, and also share a few squawks every now and then, to keep each other in check and to keep things real! Probably the phrase I hear the most from my Dad is “isn’t your mother sweet!” And Mom just bats her eyelids at him and smiles. Now they go on adventures together with wonderful Carol in their hoverounds. So cute and dear they are. I love them to pieces! I love seeing your parents at church and Chatmoss. They’re always so sweet and gracious to Smith and me. You’re such a part of their church family, Gael. Have been for a long time!